When our expansion led us to Houston in 2016, our goal was simple. We wanted to increase our footprint in Texas and support the growing needs of our national Fortune 500 clients. In the past two years, we have successfully completed 108 projects totalling nearly $100 million, all while delivering on promises and ensuring the final product provides quality above expectation. In Texas, we’re not satisfied to simply build. Rather, we strive to build value—adding more worth to a region already rich in culture, history, and industry through our depth of national experience; our locally grown expertise in interiors, commercial building, and healthcare; and our emphasis on client relationships. HITT’s entry into the Texas market began with our first acquisition, bringing Trademark Construction of Houston into the HITT family. Houston is a dynamic and vibrant city; the diversity in commerce and great quality of life make it an ideal place to live and do business. Those are just a few of the reasons we selected the city in 2016 as our homebase to serve our clients in the Lone Star State. 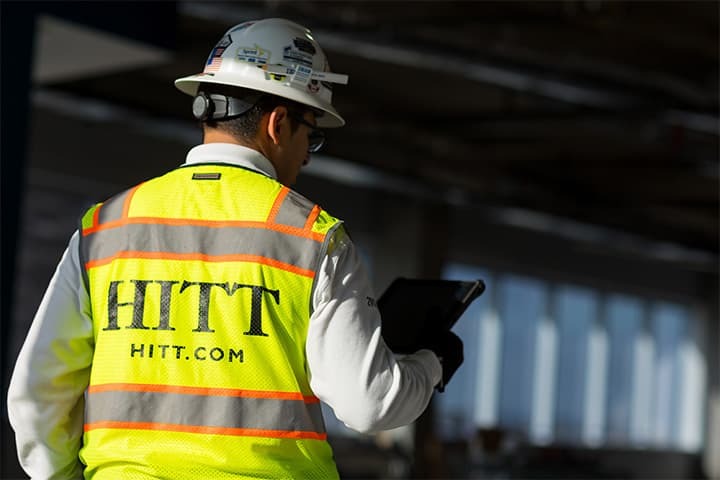 Through the acquisition of an established firm, HITT Texas is able to offer the expertise of a local team backed by the national strength of a billion dollar firm. Our diverse project experience ranges from small service work, corporate interiors, and healthcare facilities to distribution centers, flex/warehouse facilities, and community centers. With a comprehensive approach to project management, our teams manage projects from preconstruction and conceptual estimating through construction closeout, providing a seamless delivery. Our results-oriented mindset and responsive nature drive the project's success through budget, schedule and quality. Relationships are the foundation of our future. Our local, experienced team takes pride in delivering exceptional spaces that make our Clients proud. Whether a new or repeat Client, our approach to project management is the same: deliver on promises and ensure the final product provides quality above expectation. Each of our projects has a full-time, dedicated superintendent on-site during construction and a safety manager visits jobsites regularly to complete inspections and ensure a safe working environment. From new construction to tenant improvement projects, we have the experience to serve a diverse range of project types including industrial, K-12 and higher education, hospitality, healthcare, and corporate interiors.